HEROES UNITE! The battle begins when the Justice League lands at Madame Tussauds Orlando on May 25, 2018. 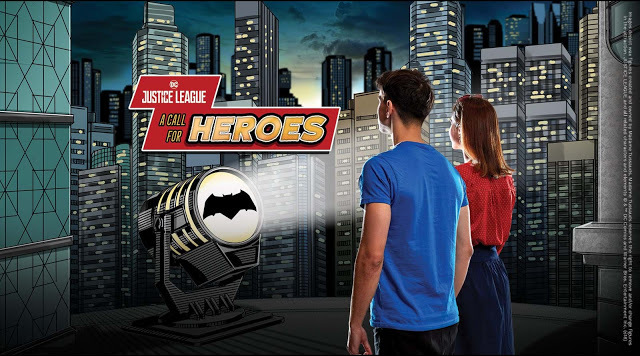 Guests who answer the call will be transported to the streets of Gotham City and Metropolis, uniting with the Justice League Super Heroes in a series of thrilling missions to destroy LexCorp’s hold on the world. Wonder Woman guests will help to destroy LexCorp’s formidable technology that has disabled the city. By harnessing their inner super power, guests will be able to emit a powerful blast from Wonder Woman’s gauntlets to weaken LexCorp’s control over the city. Elsewhere in the city, Lex’s experiment wreaks havoc, sending a helicopter and its occupants hurtling toward the ground. Guests will have to summon all their strength and join Superman to help lift a REAL helicopter back into the sky as onlookers cheer from the streets below. As the battle continues, one Super Hero will remain elusive. Guests must summon Batman with the Bat-Signal. Billowing smoke and wind reveal Batman as he’s called into battle on the rooftop, ready to save the world.